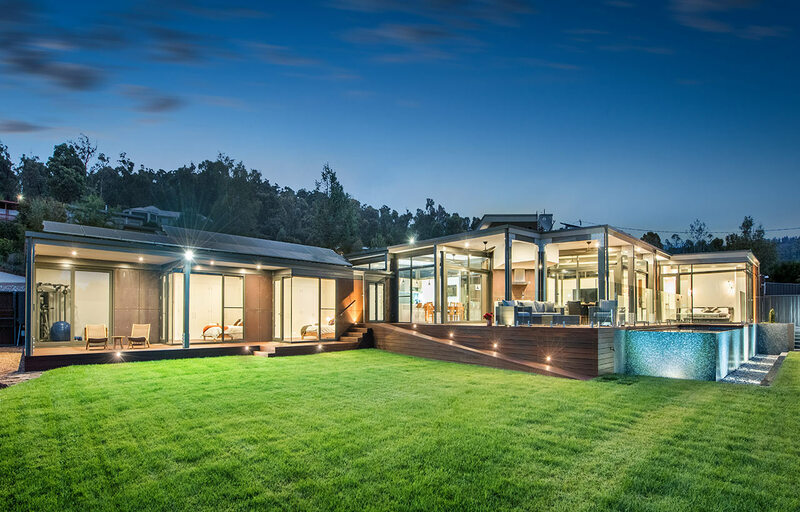 The scope of works called for the construction of a high end contemporary home, sitting into a slight embankment and taking account of the views to the surrounding hills of Marysville. 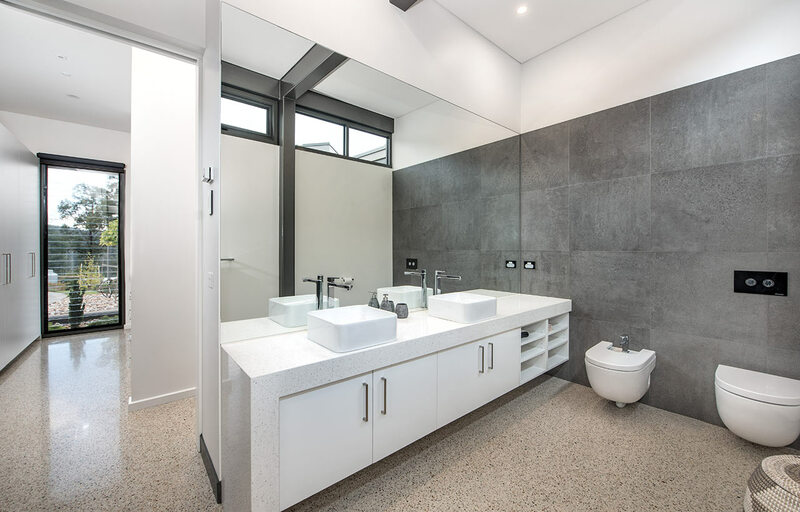 The client request was for attention to detail for a show piece home, combining numerous materials both for a striking external appearance and a focus on functionality and style internally. The distinctive design is reflective of the corner block position and the need for the prevailing views. 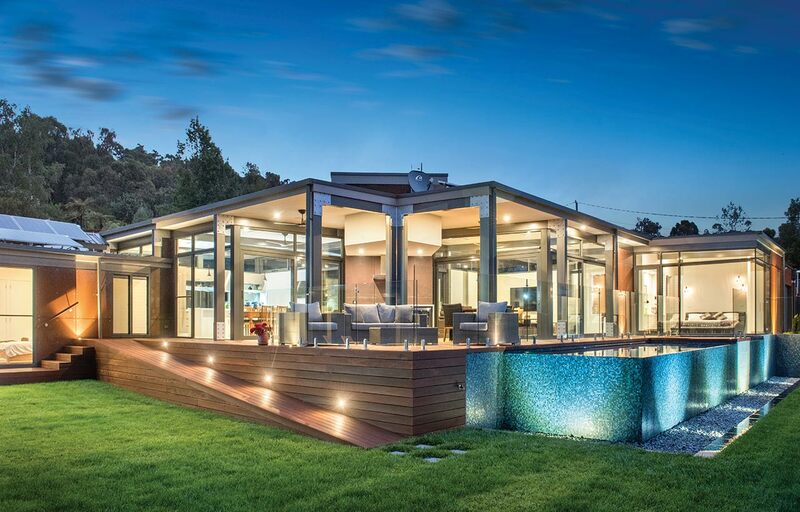 A steel portal frame allowed the build to progress quickly once the excavations and slab was prepared. 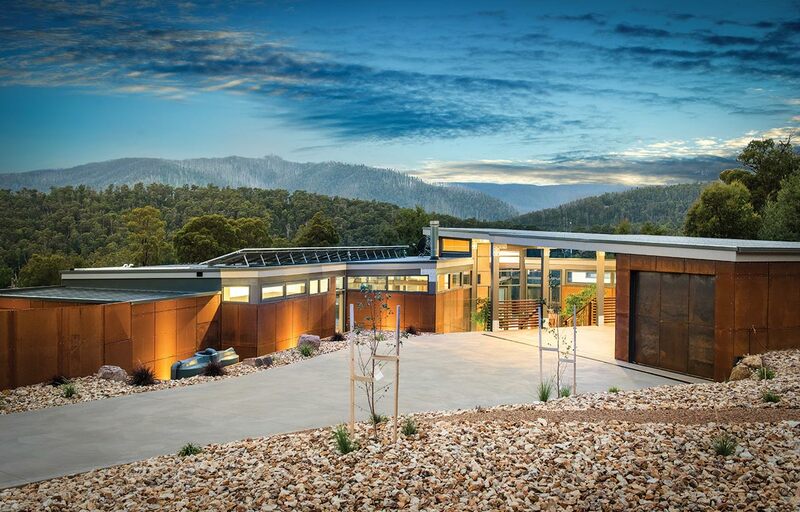 An important component was the large commercial windows and connection details were vital along with the fixings of the striking Corten cladding. 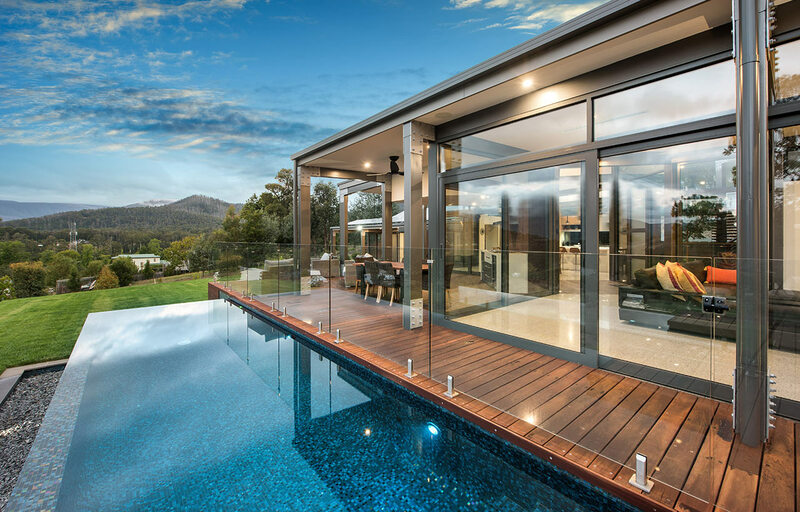 Given the feature Porte Cochere, Entry Bridge, main deck and horizon pool, the external design was to feature exceptional timber work, stone and other natural materials to blend into the landscape. 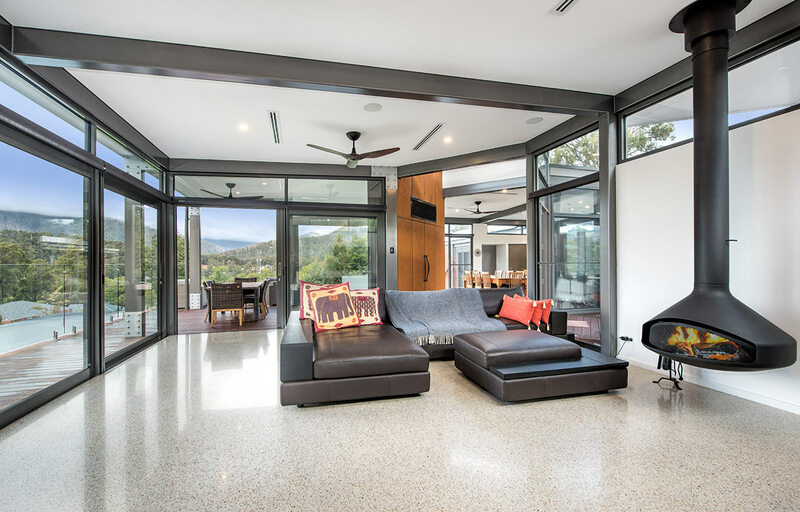 Internally, the first amongst many eye grabbing features is the heated polished concrete floor. 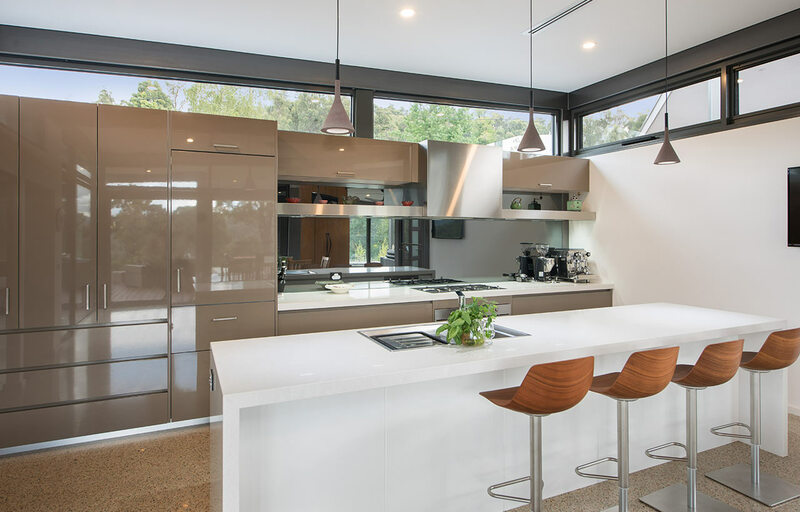 This then moves through to magnificent open kitchen with its sleek design utilising space and allowing for functionality. 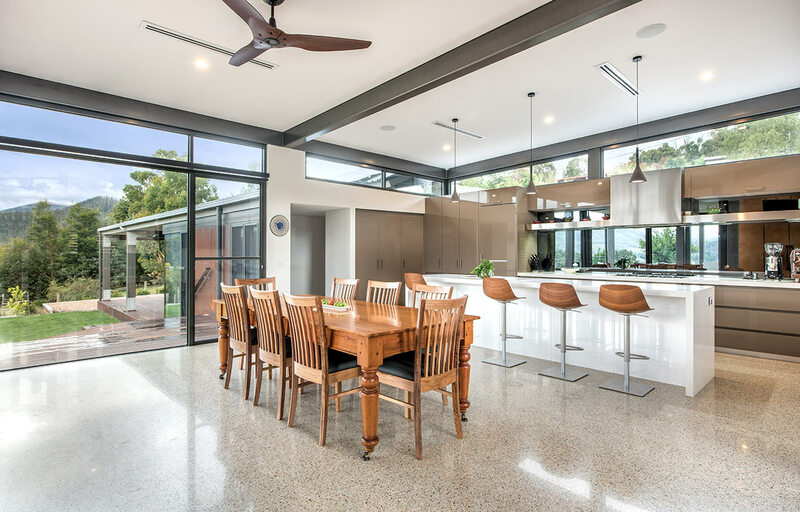 Floor to ceiling double glazed windows along with clerestory highlight glazing accentuates the openness via outstanding natural light. 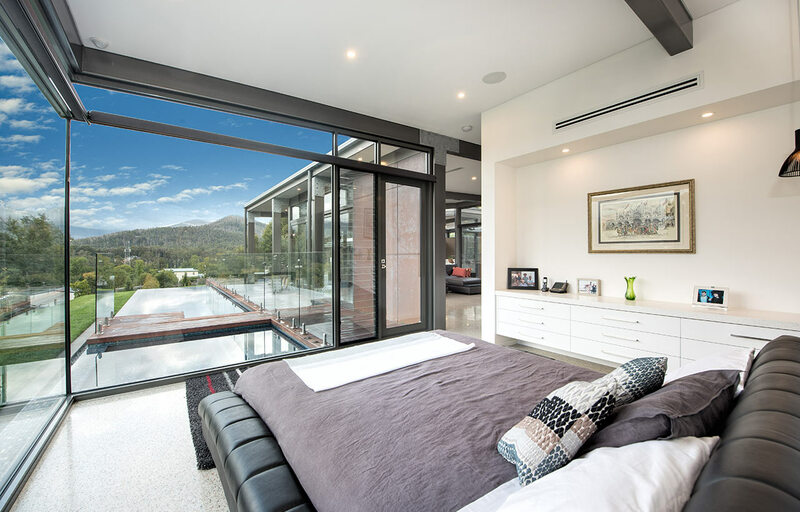 Appointments to ensuite, bathrooms and powder rooms mean that expansive bedrooms are serviced to the highest quality. 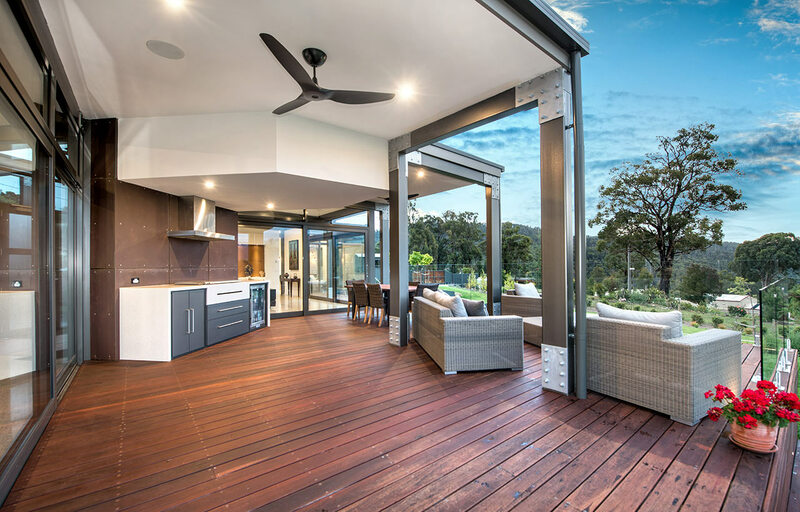 The integration of all these features means that from all areas of the home, the exceptional outdoor locales are experienced on every level.